Bilingual Book Giveaway: The WINNERS! THANK YOU to everyone who participated in Language Lizard’s $250 Bilingual Book Giveaway! We were impressed with the number of entrants and very inspired by the feedback we received from participants! You are all working so hard to improve literacy and language skills among dual language learners. We also appreciate all your efforts to teach children about other cultures and support a greater understanding of diversity and our multicultural community. If you would like to read some of the comments of our entrants, simply click here. We know there is a need to offer additional grants and giveaways to support the dual language learners and educators that we serve. And we would like to do more! Feel free to share your thoughts and ideas for future giveaways or grants (e.g., one larger prize or more smaller prizes?). We appreciate your feedback and you can contact us at any time. 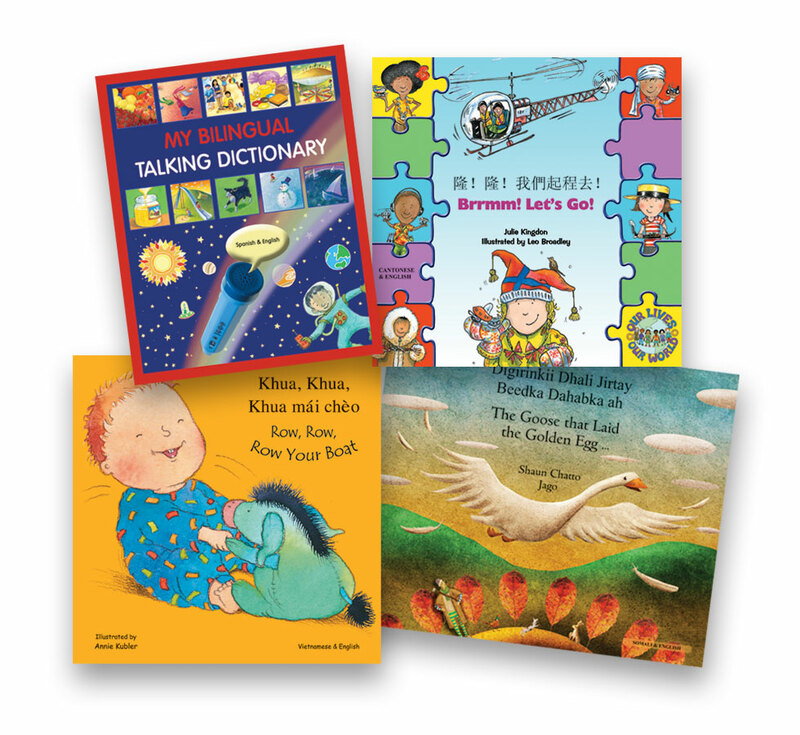 Support Your Dual Language Learners with $250 Worth of Bilingual Books! We are delighted to announce a chance for you to win $250 worth of bilingual books in your choice of languages! Arabic, Bengali, Chinese, French, German, Gujarati, Haitian-Creole, Hindi, Japanese, Korean, Panjabi, Polish, Portuguese, Russian, Somali, Spanish, Swahili, Tamil, Turkish, Twi, Urdu, Vietnamese, and many more languages! It is easy to enter! All you have to do is go to www.LanguageLizard.com/giveaway.htm and submit the entry form. We’d love it if you could spread the word about this wonderful opportunity! By doing so, you may even increase your chances of winning!